Have you traveled outside the United States? Do you shop at big box stores? Do you drive a foreign-made car? As Evelyn Hu-DeHart asked question after question to the audience, attendees ran out of hands to raise and some lifted their feet off the floor to signal affirmation of her queries. “You and I are all faces of globalization,” Hu-DeHart said, introducing a main message of her talk: everyone participates and engages in globalization. Dr. Tanya Mears of the History and Political Science Department introduced Hu-DeHart to an interested and thoughtful audience of students, faculty, and staff. Hu-DeHart had just come from Providence where she had recently returned from visiting China. 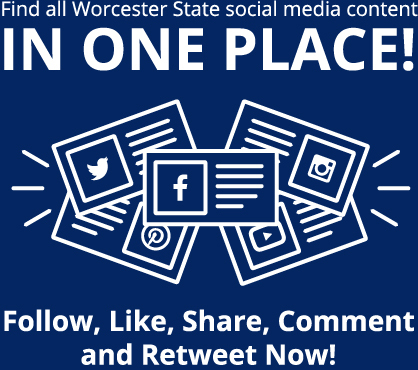 After Worcester, she was going to be heading off to Cuba. “So you could say I’ve been globetrotting,” she said. Hu-DeHart is a professor of History, American Studies, and Ethnic Studies as well as Director of the Center for the Study of Race and Ethnicity in America at Brown University. She joined Brown from the University of Colorado at Boulder where she was Chair of the Department of Ethnic Studies and Director of the Center for Studies of Ethnicity and Race in America. 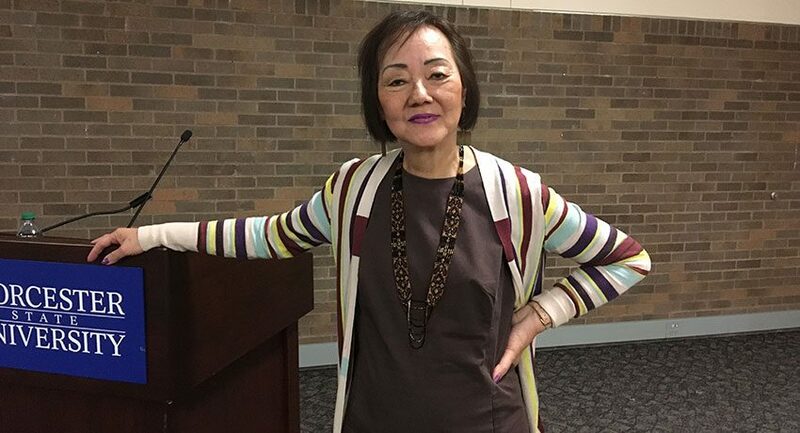 Her talk at WSU delved into history and described how explorers Marco Polo, Ibn Battuta, Zheng He, and Columbus connected the globe. Once land masses were connected, along came the movement of money, merchandise, and people. However, many of the people traveling were coerced, trafficked, and poorly paid, if they were even paid at all. Considering the African slave trade, Hu-DeHart brought the talk close to home, speaking about how New Englanders were implicated in this forced labor, even if the work was not exerted on Northern soil. For instance, the Brown family of Rhode Island used their profits from slavery to found Brown University. In the mid-nineteenth century, as Asian indentured laborers replaced slaves in America, New England families still exploited their work. In the current time, American companies outsource and subcontract their work, often to young women of color from poor countries in Asia and Latin America. “The poor women from poor countries,” Hu-DeHart said. These countries accept factories to be built as “export processing zones,” another name would be sweatshops. These sweatshops blatantly violate safety laws and standards. Workers will make just a couple dollars a day while celebrities make hundreds of millions for endorsing the same product crafted by these sweatshop laborers. Hu-DeHart explained that one of the ways we participate in globalization is by buying these foreign-made products. Audience members acknowledged their participation and expressed guilt of the consumption of these outsourced and sweatshop-produced goods. But, as Hu-DeHart exclaimed, everyone is a participant. Furthermore, these terrible working conditions are not just found overseas, as Hu-DeHart showed. Immigrant labor is currently being exploited in the United States. Many workers are undocumented and receive extremely low wages, made possible because they compete with each other for the job. The United States has a service economy; services are needed here, so labor cannot be outsourced overseas. Workers are needed for tasks in the home, in fast food restaurants, in big box stores, on golf courses and resorts, etc. However, these laborers may not always be visible to us because they work at night and in the back of the store, as Hu-DeHart said. Additionally, Hu-DeHart explained that because women in the United States work outside the home, they often outsource domestic affairs. Laborers performing socially reproductive work, such as nannies and caregivers, are paid under the table and there are “no benefits, no unions, no government oversight,” Hu-DeHart said. These women are considered to be expendable. And yet, she spoke about how immigrants in the United States are often restricted from being given visas because the concern of the company lies in the profits. To keep the workers undocumented is to keep them contingent and keep them vulnerable. After her presentation, the floor was opened up to a Q&A session. One topic brought up was the challenges in making these women visible. Hu-DeHart spoke about the difficulties of unionizing homecare workers. These laborers usually work alone and are undocumented. They are hard to find and it would be a complex task to organize them. Despite these struggles, Hu-DeHart ended on a positive message, saying we cannot consider ourselves powerless and helpless to do anything. We need to be aware of globalization, especially the hidden underside, and the part we play. Hu-DeHart’s talk was sponsored by the Third World Alliance; the President’s Office; the Provost’s Office; the Office of Multicultural Affairs; the Office of Diversity, Inclusion, Affirmative Action and Equal Opportunity; Student Involvement and Leadership Development; the Urban Action Institute; Ethnic Studies and the History & Political Science Department. The Third World Alliance will be hosting an origami workshop on April 10 at 5:30 p.m. in the North/South Auditorium. There will also be a film screening on April 17 at 5 p.m. in the North/South Auditorium. Don’t Think I’ve Forgotten: Cambodia’s Lost Rock and Roll combines interviews with the surviving Cambodian musicians and rare archival material to chronicle the people who wrote, performed, and recorded these songs, and what the music and the artists meant in the lives of the pre-Khmer Rouge Cambodians who listened to it. Following the screening, filmmaker, Lin Da Saphan, Assistant Professor of Sociology at the College of Mount Saint Vincent, will lead a post-discussion. 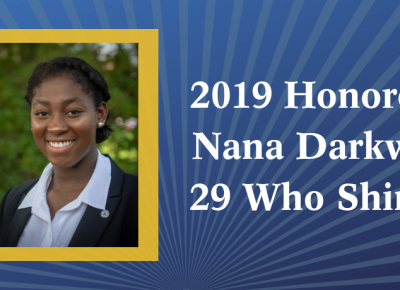 Graduating senior Nana Darkwa will represent Worcester State University as one of Massachusetts’ “29 Who Shine” during a ceremony May 3 at the State House, honoring one outstanding graduate from each of the commonwealth’s public higher education institutions. A sociology major and political science minor with a 3.75 GPA, Darkwa serves as a Presidential Student Ambassador regularly . . .